Rave AP News A master criminal and the step-by-step methods used to stop him permeate this gripping account that is both well-written and exhaustively researched ... Investigative journalist Shannon takes the reader beyond the fly-on-the-wall and puts them right into the heart of every action and situation ... One can practically see and smell everything as these brave agents provide a minute-by-minute account of the takedown of a master criminal. (LeRoux was arrested in 2012.) The level of research and detail — including exclusive interviews with the people involved — makes this a one-of-a-kind true crime tale. Rave The Associated Press The latest blend of history and thrills ... fun and engaging ... Elements of the story echo Dan Brown and Berry’s first Cotton Malone adventure, The Templar Legacy. What makes his novels stand out is the level of research to make the foundation of the story solid and then adding some mayhem and chaos. After shaking them all together, the result is a thriller that intrigues and provides historical context. Berry is the master scientist with a perfect formula for the best-seller lists. Rave Booklist The latest in the Gray Man series continues to demonstrate why Greaney belongs in the upper echelon of special-ops thriller authors ... The tension in this adrenaline-fueled thriller, the eighth in the series, never lets up for more than 500 pages. Remarkably, each Gray Man novel is better than the ones that came before. 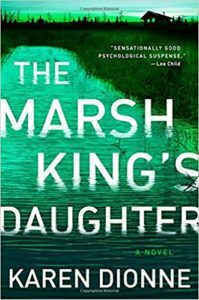 Rave The Associated Press Gardner knows how to weave a deeply moving and psychological thriller that pulls no punches in its authenticity. She is one of the masters when it comes to crime fiction. Fans of her novels will consider this one of her best, and newcomers will be in awe of the compelling story and unpredictability of the proceedings. Positive The Associated Press Several strong themes resonate throughout this story including corruption, immigration, and the power of love and family ... Lescroart has crafted another wonderful legal thriller that will easily please his fans and those who aren’t familiar with his body of work. Positive Booklist Alpert’s vision of the end of the world is terrifying on multiple levels and comes across as all too believable. Using his background in science,​ ​Alpert has crafted a tale that begins with the U.S. government ignoring the effects of climate change and then abandoning human rights in a misguided attempt to control the resulting chaos. A frightening apocalypse thriller that is more The Walking Dead than Michael Crichton. Positive Booklist Poyer’s novel effectively echoes concerns prevalent in the news. Newcomers might feel a bit lost here—this is much more of a serial novel than it is a series with self-contained installments—but Poyer’s knowledge of warfare will draw in military-fiction fans and drive them to the earlier volumes. Rave The Associated Press Reilly has crafted a fantastic follow-up to The Four Legendary Kingdoms. The clever mix of history, mythology and geography make this one of the best action-thrillers published in the past few years. For full enjoyment, read the previous book, but even picking up this one first will make a reader’s heart race. The ending also reveals the story isn’t over, and that’s a good thing. This novel is the perfect \'beach read\' for the upcoming winter months. 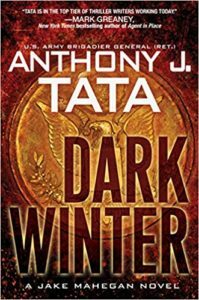 Rave Booklist Power and wealth could destroy the world in Tata’s latest thriller. Jake Mahegan and his team of operatives are the best of the best, but how do you battle an opponent with money, connections, and a team of professional hackers? ... Tata has taken elements of the world’s political stage and mixed them brilliantly with a virtual treatise on cybersecurity. Throw in a charismatic villain steering the game, and you have all the elements in place for a classic, high-adventure technothriller ... This is the best thriller yet by the former brigadier general. Rave Booklist Mills took over the popular Mitch Rapp series after Vince Flynn passed away in 2013, and he has done an outstanding job of carrying the torch ... In the world of black-ops thrillers, Mitch Rapp remains the gold standard. Mills has embraced the high-concept-thriller style and continues to exceed expectations ... A guaranteed best-seller, and deservedly so, at least for devotees of adventure-driven political thrillers. Positive The Washington Post Unger knows how to craft a tale that not only incorporates characters that feel real, but also weaves a baffling puzzle that keeps readers guessing. 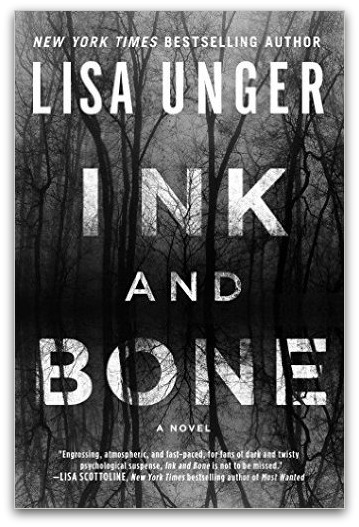 For a story that is steeped in grief and darkness, Unger’s steady hand keeps hope shining throughout, so it’s not difficult to enjoy this captivating thriller. Rave The Associated Press Cussler and action-adventure fans will love this latest Oregon Files novel. New characters to the team are most welcome, and the sheer insanity of the story line will keep readers guessing about what’s going on until the last page of the book. Chapter one has the pacing of the climax of other thriller novels, and the pace from that fast start does not let up until the end. Shadow Tyrants is one of the better entries in Cussler’s world. Positive The Associated Press The novel’s vast cast of characters showcases the turbulent fight for justice and what’s right for the country, while some use the power struggle for their own purposes. In the midst of this horror is a beacon of hope. Adler-Olsen writes as if he’s lived in the United States his entire life, and the novel reads as if it were written recently, not years ago. This thought-provoking and timely political thriller shows the author can craft more than compelling crime scenarios. Rave The Associated Press Elements that are in play are somewhat visible to savvy thriller readers, and the novel echoes a classic movie from the 1960s. Proving that Barclay is a master of manipulation, he pulls a genuinely unexpected twist that throws everything revealed up to that point entirely out the window. This thriller then kicks into high gear as it becomes a race for answers and justice. The author has cast this novel with a group of realistic characters that add to the festivities showcasing a grand design. 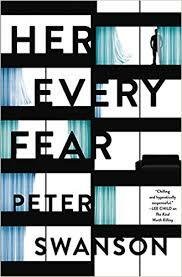 Predictable becomes unpredictable in this compelling book that echoes the best of Harlan Coben. Mixed Booklist Online Stirling asks an interesting question in this thriller ... Stirling has a gift for world building, but by focusing on a secret spy organization called the Black Chamber... rather than making more use of the historical figures and events of the time, the end result is less compelling than it might have been ... [Black Chamber] well may develop into a strong series, if Stirling does a better job of melding fictional and historical elements. Rave Associated Press News Author Robert Dugoni has multiple stories that weave into a beautiful narrative. What makes A Steep Price stand out is the authentic feel of how it feels to work as a police officer in a major city. With relevant and timely issues, including the treatment of women in the workplace and how some cultures believe in the practice of arranged marriage, the result is another outstanding novel from one of the best crime writers in the business. Positive Associated Press ...another entertaining and diverting read from a true legend in the adventure business. Unlike the other series in the Cussler brand of novels, the NUMA Files runs the closest to invoking the classic feel of James Bond reimagined as an oceanographer. Positive The Washington Times Jane Hawk, the compelling heroine of The Silent Corner, returns in another terrifying Dean Koontz conspiracy thriller ... The character of Jane Hawk is arguably the best character Koontz has created. Knowledge of The Silent Corner helps put some of the narrative in perspective, but it\'s not necessary to fall under the author\'s spell. Positive The Associated Press Koontz has written another stellar tale with Hawk. She’s easy to root for, and The Crooked Staircase is a gripping read for almost 500 pages, though in retrospect, not much really happens to propel the story too far forward. With at least two more novels coming with Hawk, hopefully Koontz will give this saga closure soon while pursuing other potential opportunities for her to shine under different circumstances. The story line does veer a bit into the torture realm this time around, bringing up some disturbing images to go with her crusade. Even with all of this in mind, The Crooked Staircase is a page-turner to dive into this summer. Positive Associated Press Baldacci is a wonderful storyteller, and he incorporates wonderful characters into baffling conspiracies ... he takes on small-town America, capturing both good and bad elements. He demonstrates why these small towns are worth saving. It’s a theme he has explored before, but it still has potency and relevance. Rave The Mercury News Meltzer weaves a stellar tale of history, government-insider knowledge, and thrills to deliver his best book in years. At times the violence is intense — and the villains are borderline comic book — but Meltzer’s steady hand knows how to balance a fine line between compelling and discomforting. Since Zig and Nola are both artists in their own unique way, the visuals and narrative are even more intense than one would expect in a thriller. The Escape Artist is the rare novel that one wants to read fast while also needing to go slow to savor every word. Rave Booklist Rollins’ latest Sigma Force novel is one of the best in the series ... The mix of science, history, and high-concept adventure is always first-rate in a Rollins novel, and that’s true here as well, even with killer wasps in the mix — and don’t forget those bones and Alexander Graham Bell! Rollins raises the stakes even higher by daring to present the wasps’ point of view in several scenes. Go with him, and you’ll agree that he pulls it off beautifully. 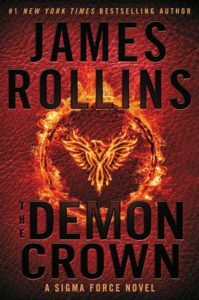 Devotees of Clive Cussler and Steve Berry are no doubt reading Rollins already, but if they’re not, what’s keeping them? Positive The Washington Post The ending is a bit jumbled with who did what to whom with an ever-increasing body count, and even Robicheaux himself is in a bit of a quandary about the entire adventure. In the scheme of things, it doesn’t matter. The poetic writing and depth of the major characters balances out everything. 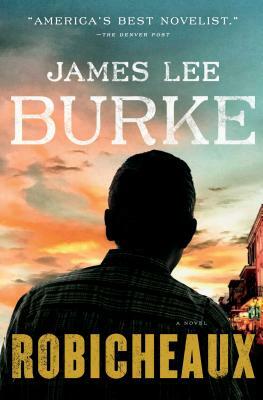 Reading one of Burke’s novels is truly an immersive experience, with every ache and anguish feeling gut-wrenchingly real. It has been almost five years since the last Dave Robicheaux novel, and it was absolutely worth the wait. 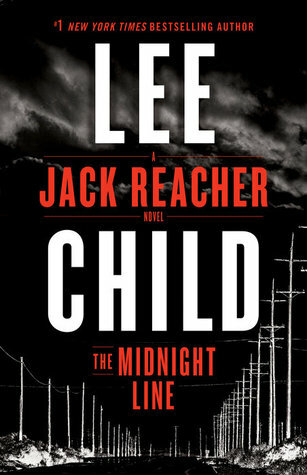 Rave The Associated Press Child delivers another classic Jack Reacher tale with The Midnight Line ... Child has written another compelling and moving novel featuring the iconic American hero who never stops until he’s satisfied with the results. While the story is bold and mysterious, the empty landscape with few individuals living in the area spotlights Reacher’s loneliness. Positive The Washington Times Peter Swanson tells an engaging story of a woman battling severe anxiety who decides to radically change her life –– and the horrifying results that follow –– in Her Every Fear ... 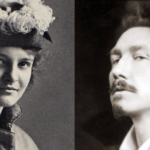 When the novel focuses on Kate, the writing and story line shine. Swanson made the decision to give other points of view, including the cousin and Alan, and their narratives lag a bit ...a sole focus on Kate’s perspective would have made it a classic. Either way, Swanson has crafted an effective and compulsive thriller. 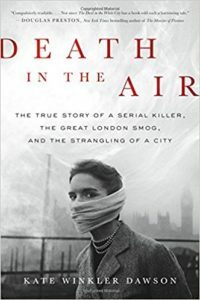 Rave The Associated Press ...a stellar examination of a turbulent time in the city’s history ... Dawson’s background in documentaries and journalism makes this journey more than just a retelling of the facts. She tracked down people who lived it, and now readers will vividly experience that period as well. Positive The San Francisco Chronicle A charter boat captain in Key West, Florida, gets an offer he can't refuse in Nelson DeMille's latest novel … [Mac is] in desperate need of financial help since the bank loan for his vessel is quite extensive, not to mention living in Key West. 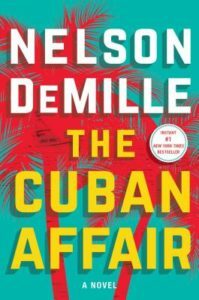 Jack, his partner and first officer on various jaunts, is old and quite cranky, so they're a perfect match to work together … The Cuban Affair feels authentic and real, and it provides knuckle-white tension mixed in with levity. Positive The Minneapolis Star Karen Dionne takes a standard story involving the kidnapping of a woman and the life she experiences with her captor and elevates it to a new level ... The way the story unfolds both captivates and disturbs. Since Helena is telling the story, she brings a lack of understanding and naivety to the tale that makes everything more vivid in the reader's mind. Her past and eventual realization of what's truly going on makes this novel resonate. The present day and Helena's eventual confrontation with her estranged father is necessary for closure, but at the same time, it's a bit of a letdown. The story's finale is a bit unnecessary since by then everyone loves Helena and we care more about her growth than revenge. That aside, Dionne has written a book that invokes raw emotion mixed in with the turning of pages. Positive The Minneapolis Star Tribune Strong characters and stellar writing make this a wonderful mix of small-town life with the supernatural. 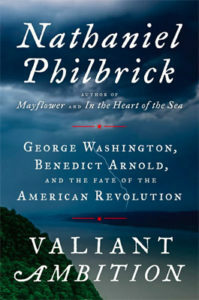 Positive Salon Philbrick has the ability to take seemingly dry facts of history and turn them into exciting prose. The players come alive and their motivations are clear. The people he chronicles are legends, so revealing to the reader what makes them human, foibles and all, helps make sense of the events that transpired and why they acted the way they did.